Boil beans until tender. Slice pork and place on bottom of roaster. Put tender beans on top. Add other ingredients and stir gently. Bake 350ºF for 2 hours. 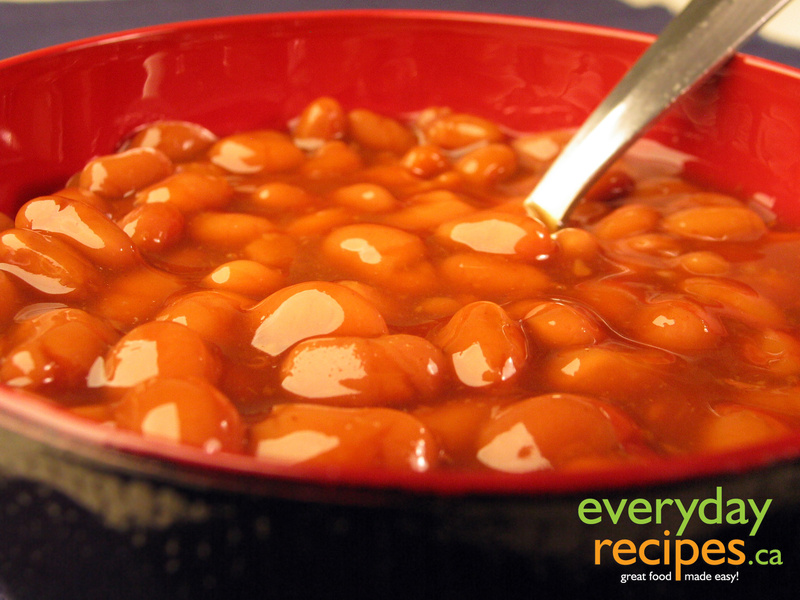 Are the beans in this recipe the ones you soak over night? I would soak them overnight , drain in the morning and add fresh water and boil until the bean skin starts to break a wee bit. Some people do not soak but just boil until tender, that is the shorter method. I prefer to soak overnight. Hope this has been helpful. Always soak overnight & the best recipe I've found is on the back of the "bean bag"...Thompson's white navy beans.